I don’t mind repeating it all the time but I prefer conducting sake tastings in the right environment but not many places are propitious for that exercise or willing to help. 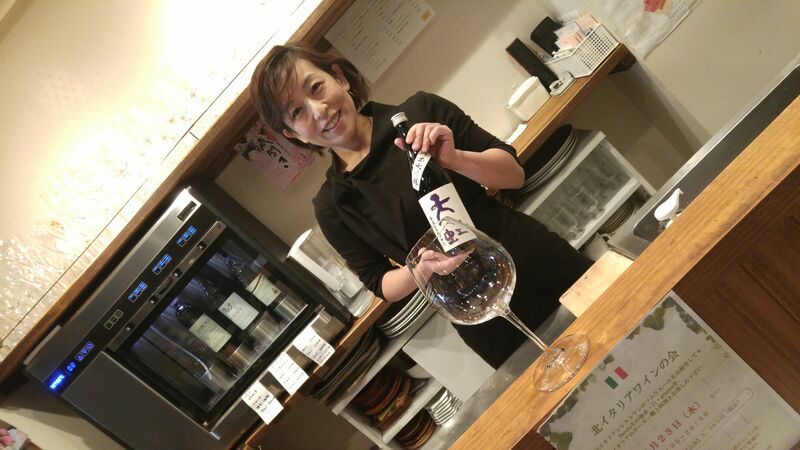 But La Sommeliere in Miyuki Cho, Aoi Ku, Shizuoka City is certainly becoming a habit as not only I can conduct my tasting in the best conditions possible but also exchange views at the same time! 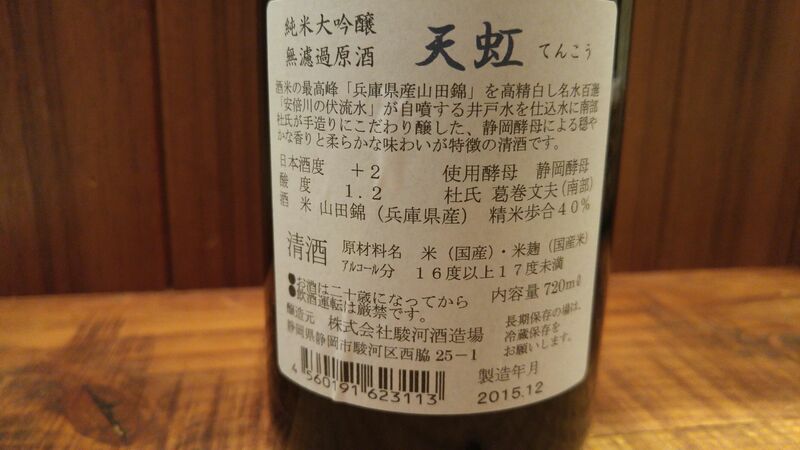 This time we tasted a nectar brewed by an increasingly popular Suruga Brewery (Shizuoka City) which is already a lot of attention throughout Japan despite its very short history! 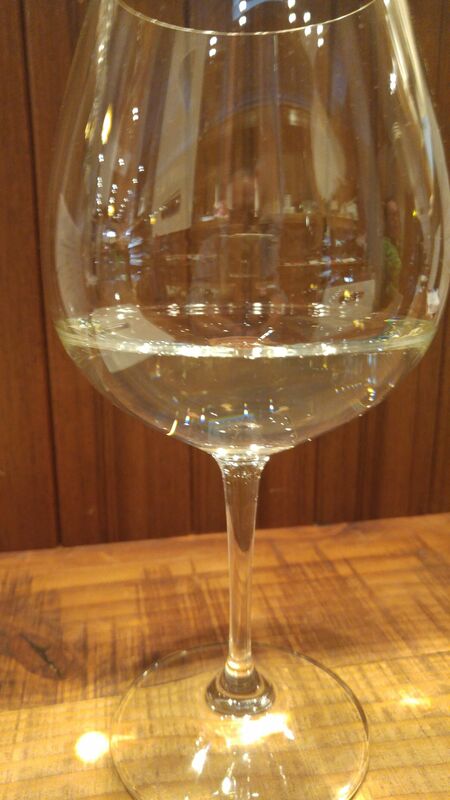 “Tenko/Heavens Rainbow” Junmai (no pure sake alcohol blended in) Daiginjo Muroka (unfiltered) Genshu (no pure water added)! Aroma: dry and very fruity. 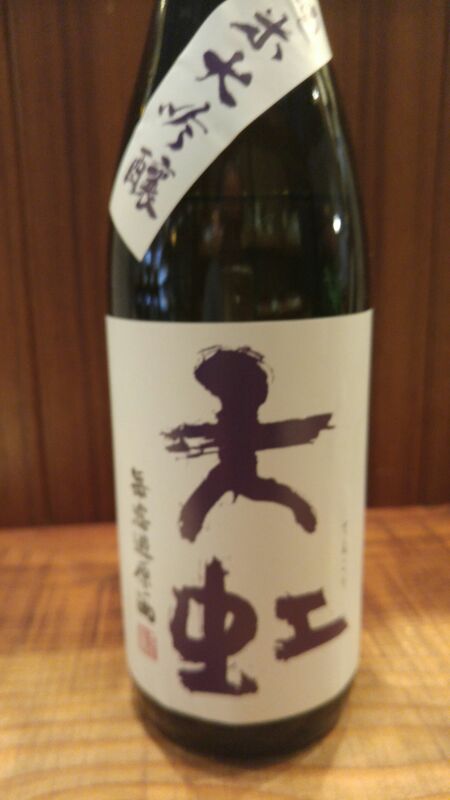 Taste: dry and fruity attack backed with puissant junmai petillant. Complex: custard, cream soda, banana, yogurt. Always seems to reach the brink of sweetness without reaching it. Lingers on for a short while before departing on a slightly drier note of custard, oranges and faint almonds. Will become markedly drier with salty foods. 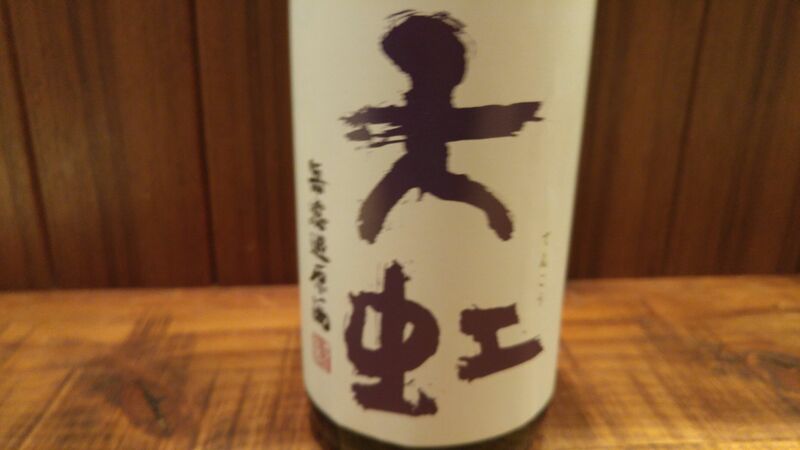 Overall: Very rich sake if there were such a term! Both elegant and very satisfying. Very fruity and sweetish at first but beautifully counterbalanced with swift, but in the right amount, acidity. Could definitely be used as a superlative dessert wine!